On an average, around 30,000 sites are getting hacked in a day and so you can think of how serious this issue is. Last month itself, in a major data breach, over 50 Million Turkish citizen data were leaked online and this is not unique. Every day you will come to know about such news. The best way to get protected from such issues is precautions. Take utmost precautions you can take to prevent such data and security breaches. Now let me tell you why such issue occurs. Although there are million of online resources available for this here I am just listing a few points which are the main reason behind such security risks online. Why online security attacks occur? Although there can be thousands of reason behind this few are most common and in many cases, these are the cause of the data loss, security attacks, and breaches. If you are working online or storing data online, you must take care of such cases. • Device theft or loss– A stolen or missed devices like a smartphone or laptop causes 3.3 percent of confirmed security breaches and 15.3 percent of overall incidents. • Weak & Stolen Credentials- Hackers always try to hack someone’s password to get the sensitive data etc. Sometime either they hack your credentials or if those are known, they can steal it. • Internet Spyware- Around 50% of security breaches are caused by people misuses access privileges. • Nulled tools & software- we usually use much nulled and cracked software and tools which are free but we have to pay a lot for it by giving our data and access information. These tools come with virus and so it can hack your system anytime. Avoid using pirated software. And this list doesn’t end here and there are a numerous number of such factors which causes such online security issues. Although there are many ways using which you can keep yourself and your organizations secure. Among all these major data losses and hacks are doing using a password. If you are surfing online and if somebody is trying to hack, can do it easily. So the best way to get rid of it is, hide your identity while being online. For this, you can use some VPNs. VPNs help you to stay secure online by surfing the internet anonymously and so the hackers won’t come to know where exactly you are working. Today In this post, I will share what is VPN, the working of VPN and some best VPN services available to keep yourself secured online. A VPN or Virtual Private Network is a method to use security to a public and private networks like Wi-Fi, The Internet, and Hotspot. Earlier VPNs were mainly used by the corporations to hide the sensitive data but in recent times, people have started using VPN for personal browsing also to get secured online. After using VPN, user’s privacy is maintained as after using VPN, if someone will check your IP details, it will show some fake IP rather than your real and so your identity will be protected. The working of VPN is simple and so all the Top VPN services those will be listed here also work on the similar principle. Once you are switching ON the VPN, it will ask you to select the location you want as your virtual location. Now the number of the location you will have access to depends on upon the VPN services you are using. 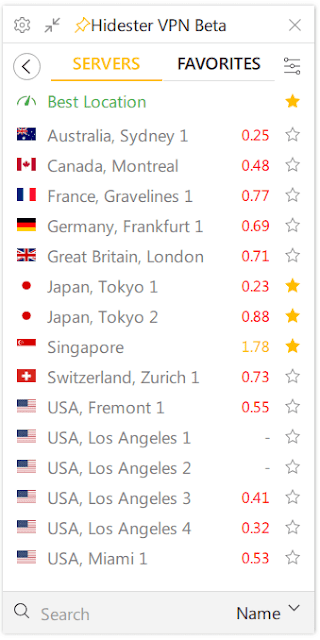 Usually, all the premium tools have 10+ countries to select. Now once you have selected the location you want as your virtual location, it will auto-assign some fake IP to your connection. Now if anyone will check which IP you are using, it will show the fake one instead of the real IP and no one will come to know about your real identity. Below is a diagram depicting the working of a VPN. This awesome self-explaining figure has been created by octanevpn. 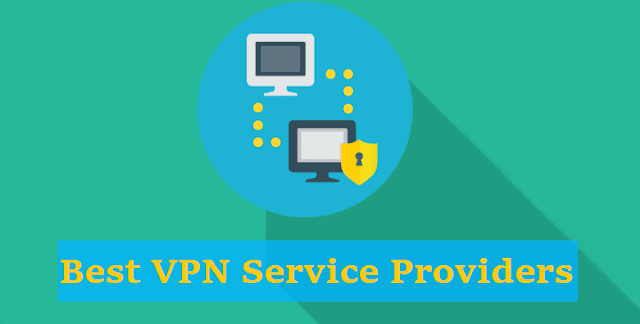 Although there are hundreds of VPN services available in the market and we checked few and based upon the rating found online, here are few top VPN service providers. These VPNs are highly reliable, providing utmost security and are very affordable. So, let’s start with some best VPN service providers. Now let’s talk about these companies one by one in details and see their features, pricing and how these VPNs can help you to keep yourself secure online. ExpressVPN claims themselves as the fastest VPN on the earth. With great servers and services, pricing is the factor where it lags as it is bit high compared to what we discussed above. How to start with ExpressVPN? And then enter your email id. They will send you all the required account details. Now you can log in and get the software and start changing IP either manually or automatically. So if you are looking to spend a bit more money, you can try ExpressVPN as apart from price, all looks good. Hidester is a very old company and used to provide free web proxy earlier. I have been associated with Hidester since months now and have seen their VPN product built and growing. 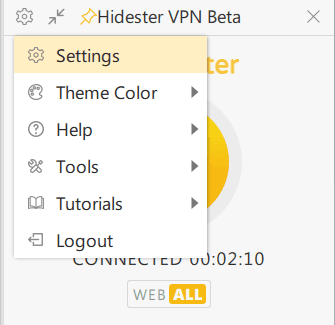 I have even used the beta version of Hidester VPN and can say it is one of the leading VPN software in the industry. Download the software and install it. Once the installation is completed, you will get a screen like below. 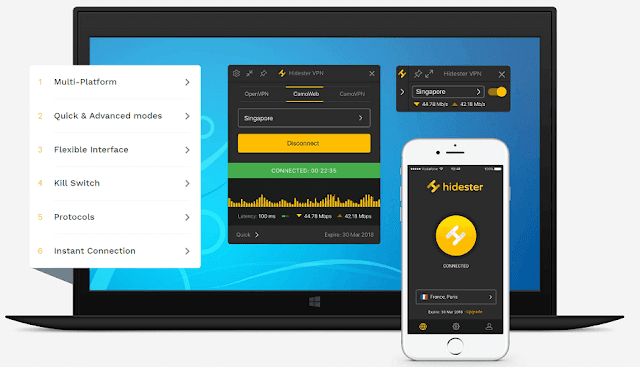 For detailed installation steps, you can check our Hidester VPN Review article. As from the name itself, it is clear that SaferVPN helps you to stay safe online. Since its inception in 2013, this Israel-based company has done an amazing job of doing exactly that. They have hundreds of dedicated servers worldwide with unlimited speed, bandwidth, and location switching that can make the most technologically savvy individual blush. On the other hand, those who aren’t at all tech savvy will also love SaferVPN as the service offers a super simple interface which provides online privacy, security, and freedom with a single click. SaferVPN supports all the major operating system and offers cutting-edge applications for Windows, Mac, Android, iOS, and Chrome, so no matter on which platform you're working on, you can use SaferVPN. With advanced technology, all the apps fully protect your online privacy and security for all your browsing needs. Since their inception, SaferVPN, among the top VPN services, has always offered the highest level of Internet security to customers worldwide. There are plenty of features of SaferVPN which make them the top choice when it comes to best VPN services. Below are some of the major features of SaferVPN. 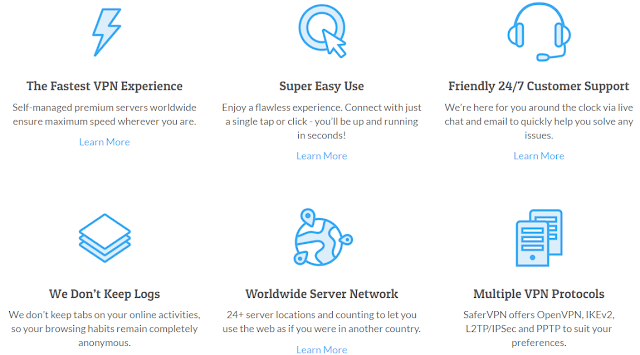 SaferVPN has a presence in over 24 countries with over 150 dedicated servers, allowing customers to browse the web from a wide variety of geolocations. You can switch to any of these location’s IP any time and N number of times easily. SaferVPN is a complete VPN service provider and so they provide a complete blend of security, simplicity, and anonymity. 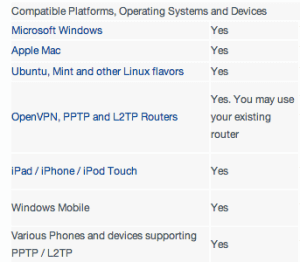 Apart from their own protocols, they also support many other kinds protocols like OpenVPN, PPTP, IKE2, and L2TP. The encryption alone (256 bit) is stronger than what many companies, banks included, and use to protect their data. It has been always seen that after using VPN, the speed of the system decreases and so is one of the top reason why people avoid VPN. But this is not a case with SaferVPN. SaferVPN connects in mere seconds and provides excellent speed for all the streaming sites as well as normal sites. Being tested on a range of countries and servers, there was no denying its swiftness while being recorded near maximum bandwidth. 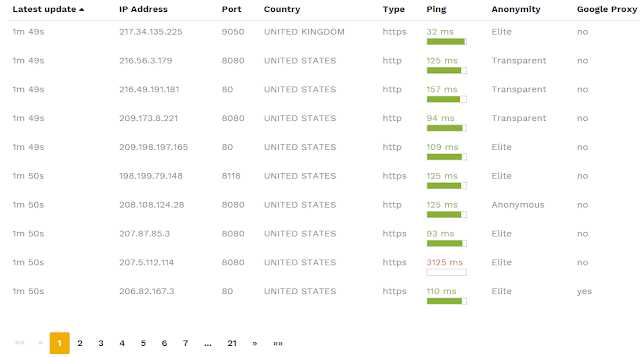 Even with sites that load to a different base speed of those abroad, SaferVPN showed no trouble giving a faster result. This high speed is possible with SaferVPN because they have highly optimized servers and cutting-edge hardware. SaferVPN has a dedicated customer support team which is available 24x7 to help you with any matter. You can reach out to them via email or chat and rest assured that you’ll receive quick resolution/help. SaferVPN offers packages at reasonable prices, especially given the quality of their service, and has a flexible plan too. Depending on the number of devices you are planning to use, you can select from the available plans. If you just need for one device, you can select the basic one which comes just at $4.79 per month while for 3 devices it is at $ 7.19. If you are a small organization or team, you can go ahead with $15.99 per month plan. Please note that all these will be billed annually and is these prices are after 47% of discounts by the company. The company also provides a 14-day money back guarantee, and if at anytime you are not satisfied with their service, you can ask for money back. This is an additional feature that has been added for the users. Instead of running the tool every time, you can install SaferVPN chrome extension and can switch it on and off quickly. Considering the features, price, and reliability, SaferVPN seems to be one of the best VPN services, so it’s definitely worth your while to give them a try. If you have ever visited AceVPN, one thing is sure that you must have liked their website home page...agree? They have a clean UI with decent information about everything that you need at a first glance. You will get about why you should choose AceVPN, pricing and all the other stuff you should know about AceVPN. 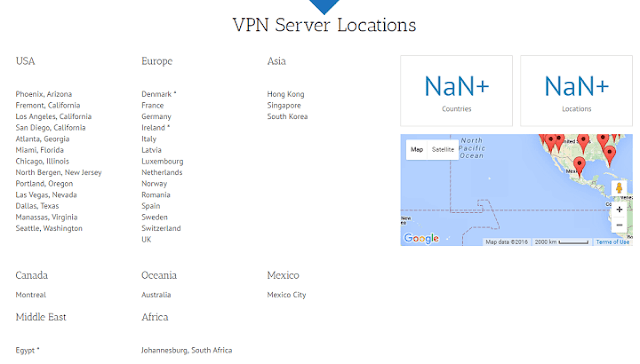 AceVPN is also a premium VPN and smart DNS provider asking you to choose from a wide range of server locations. Along with VPN, they too provide DNS and a facility to Unblock TV. They are very bold with the service they provide and claims that they are the lowest cost VPN service provider which starts at just $3.89 per month and this seems to be as well. Their support team is hyperactive and you can expect the replies to emails within a minute or so. These are the qualities that make AceVPN as one of the top VPN service providers. I am currently using over 5 devices for my work that because of the fact that I travel a lot. When I am at home then I use to work on desktop or laptop. While traveling, I use Tab and phones. So if you are like me then you also must be thinking about compatibility before buying some devices. AceVPN is then a perfect choice for you. It is compatible with all the devices and with all the operating systems. It is also compatible with routers and gaming consoles. AceVPN has large number servers at different locations. These servers are widely spread across the world. AceVPN has currently servers in 25 countries including USA, UK, France, Switzerland, Sweden, Italy, Netherlands, Luxembourg, Germany, Spain, Canada, Romania, Panama and South Korea. They have honestly tried to give users an easy to connect to the entire world. Even if you want to connect to China, you can connect to the nearest station like South Korea. With their Gigabit connections, AceVPN is capable of providing you very fast, secure and reliable speed all the time. 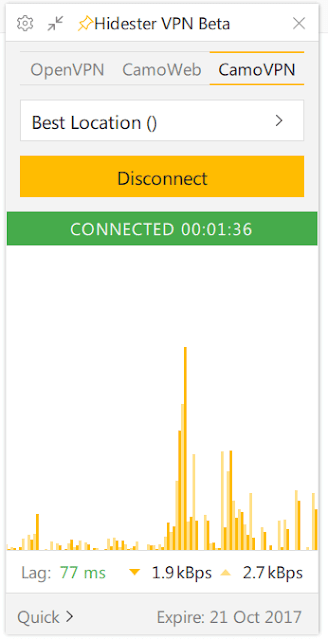 Here is a screenshot displaying the speed of internet after using AceVPN. This really seems to be impressive. So it looks AceVPN servers are somewhat faster than many of their competitors. AceVPN supports PPTP, L2TP, and OpenVPN. They even support both the encryption policy like 128 and 256 bit. Also, to maintain the privacy, they don’t monitor the user logs. AceVPN offers very flexible plans and you can even start free with it for basic needs. You can use their Unblock TV and Smart DNS services free of cost. Also, their premium VPN starts at just $3.89 per month where you will have access to the servers of around 20+ locations. Also, you can do unlimited switching to the locations and use unlimited bandwidth. If you are looking for more servers, try Ultimate plan which comes at $11.67 per month. The company also provides 7 days money back guarantee. If in case you are not satisfied with their service, you can ask for money back. Why should you choose AceVPN? Here are few reasons as for why one should choose AceVPN apart from the fact that it is cheap and support is excellent. What others say about AceVPN? Looking at the features and price, AceVPN is really one of the top VPN tool helping you to keep yourself secure and safe. You should definitely consider them if you are looking for extra features like Smart DNS and Unblock TV. 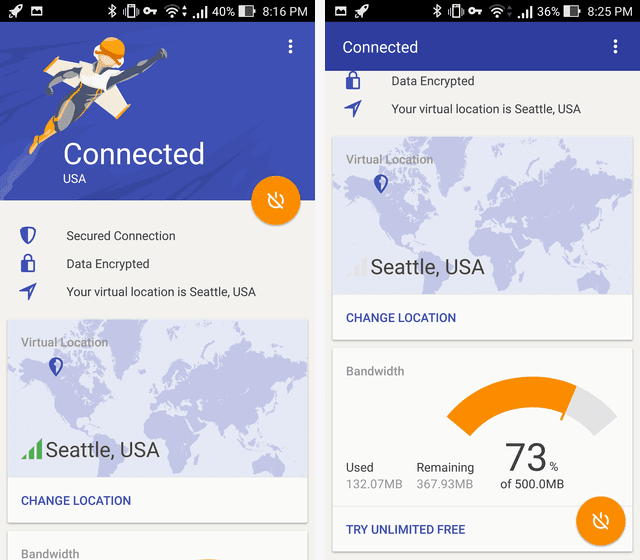 Rocket VPN is an Android app that offers the facility to user to stay safe, browse secure and access the blocked sites in their geographic location. Rocket VPN is available for both Android and iOS and is one of the best VPN for mobile devices and 1st in our list. Connect to the VPN to protect your privacy, safeguard your personal data and view geographically restricted content. You can download the apps from Play Store and iTunes for Android and iOS respectively free and can start using it. As stated, Rocket VPN can be used to stay secure online and to unblock the blocked content also. Here is diagram depicting the basic features of Rocket VPN. First, download the app from the app store. If you are an Android user, download it from Play Store and for iOS user, the app is available on iTunes. There will be many locations to which you can connect depending on the location provided by the company and plan you have subscribed. Next, I will be showing you like Rocket VPN has a server at which location. Currently, Rocket VPN’s servers are available at following six locations and you can connect to any of these easily and start using it. The company keeps on adding new servers as and when required. If you are using the VPN, you must check the speed as many times this issue has been found. If you are using VPN whose server location is far away from the location you are using it then you may face some slow speed while uploading or download. If any company is claiming that there will be no change in the speed then it is incorrect there will be a change in the speed but what it will be is the matter of attraction. 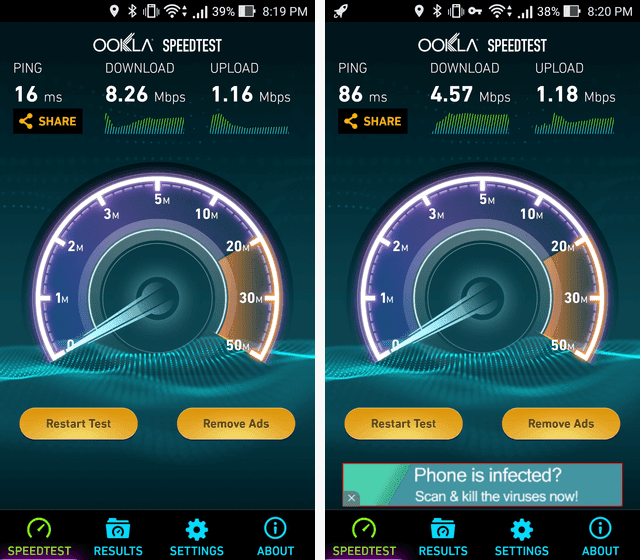 Below are a couple of images showing speed before using VPN & after using Rocket VPN and you can see that speed was dropped but not that much. Well, now a day you can’t complain about the design and interface. Companies are expanding a lot on a look and feel and try to make it simpler and more user-friendly so that anyone can start using it quickly. Rocket VPN is using Google’s Material Design principle to design the interface which is nowadays standard. You can see the below screen showing the default screen when you will open the app and once you are connected. Isn’t it attractive? The free version of Rocket VPN allows you a maximum bandwidth of 500 MB which is not sufficient as you know and it may have ads also. So, if you want an ad-free interface and unlimited bandwidth, you should try premium. Below are a couple of pricing options available. Also, you will receive 7 days free premium trial which is enough to get experience. Why should you use Rocket VPN? As I talked above about the features of Rocket VPN, it is one of the most advanced technology enabled VPN app. So let me summarize here as for why you should use Rocket VPN? • Liquidum received The Top Developer badge on Google Play, granted to developers committed to launching innovative and high-quality apps. 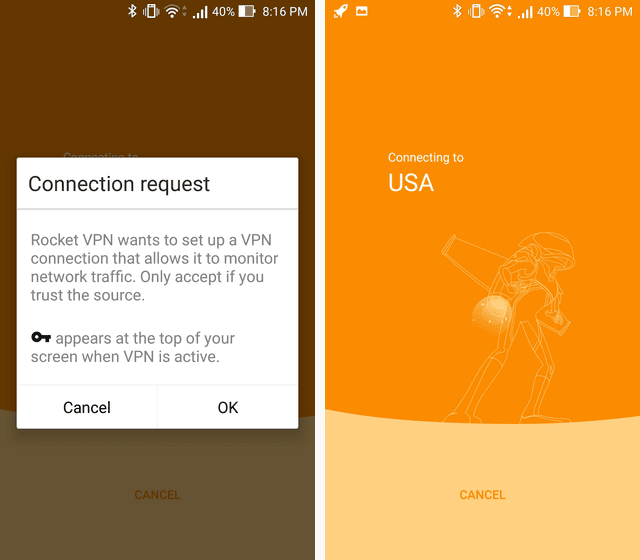 Although there are many VPNs as I have mentioned in this posts also but if you are looking for a dedicated VPN which can work perfectly on Android and iOS, then Rocket VPN is for you. Attractive UI & nominal price makes them quite popular and useful. 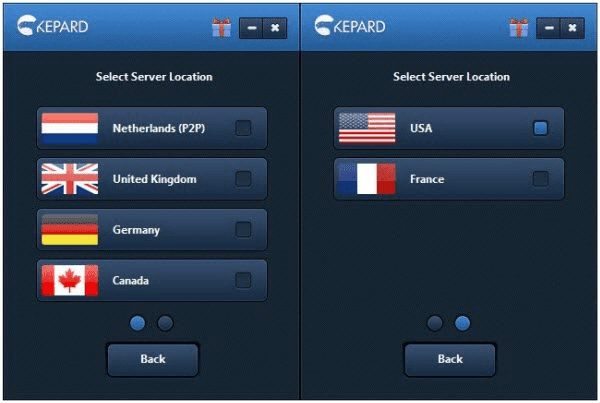 Kepard is a premium VPN service provider since 2012 and known for easy to use and convenient services. A Moldova based company is known for their quality of VPN software and the great discounts and offers that its customers can enjoy. With Kepard, you have the freedom to browse the internet in any way you want without compromising the security and identity. Once you are connected through some VPN like Kepard to the public Wi-Fi also, you can browse through it freely as the data transmission will be fully secured. Another benefit is you can access the banned sites in your area. Usually, due to some issues, some sites get banned. But if you are using Kepard, you can access those site by using some other country’s IP where that site is accessible. Kepard is one of the top VPN service providers and to maintain this position, every time they come up with some amazing features. There are multiple features of Kepard. Here I am going to share some of the best features of Kepard. Usually, you may some compatibility issue with some of the VPN but this is not the case with Kepard. No matter what platform you are using, you can use Kepard without any issue. Another excellent thing I found with Kepard is, usually, you will not find any connection issue but if there is any connection fail, it will automatically detect it and correct. Meanwhile, it will also route all the traffic and connection through backup line. Kepard takes security and privacy very seriously and so taking some extra precautions to maintain your privacy. Apart from the normal security that other company takes care, Kepard uses NAT firewall and up to 256-bit encryption. Usually, an OpenVPN uses 128-bit encryption. Kepard doesn’t maintain any log of your sessions and just maintain the username for security reasons. They will never release your log unless and until it will be asked legally. Another stunning feature by Kepard. As I mentioned earlier, usually after using VPN, speed gets reduces but as Kepard is not limiting the speed and so you won’t face any issue. You will almost not find any difference with or without VPN in terms of speed. 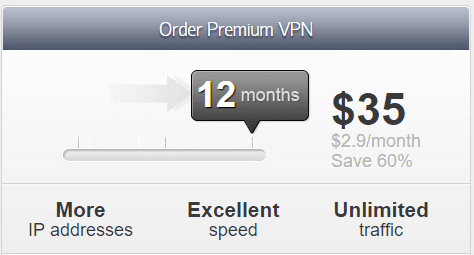 The premium VPN Kepard is very much cost effective and you can just start at $7 per month. But if you are buying for a long period the price will start decreasing. Like if you will buy for 3 months, it will cost you just $17 and for 12 months just $35 which is just $2.9 per month. Starting with Kepard is very easy and won’t take more than five minutes to complete setup. All you have to do is, but it as per your convenient. Here you will have to fill some details like Name, Email ID etc. and once did, download the software and set it up. Select your server location and start working safely. Though there is no phone or chat option, through ticket and email, you can get a quick result. They have a dedicated support team which will handle all your technical or non-technical questions and will help you to resolve it ASAP. Looking at the features and affordability, Kepard seems to be one of the best VPN service providers. hide.me is a premier VPN service provider based out of Malaysia. Utmost security, excellent speed, and no logs are their premier features. They work on no logs policy and after all, VPN is being used to keep yourself as anonymous and hide.me helps you to fulfill this. I have read few reviews of hide.me online and can say, they are amongst the top and so here I am mentioning them. Excellent security, being anonyms online, non-traceable, support are few of their top quality for which they are being loved by online communities. With a presence in 30+ countries, hide.me is one of the premium VPN service providers. The best thing is, you can even check the bandwidth available with them at their website at the location. 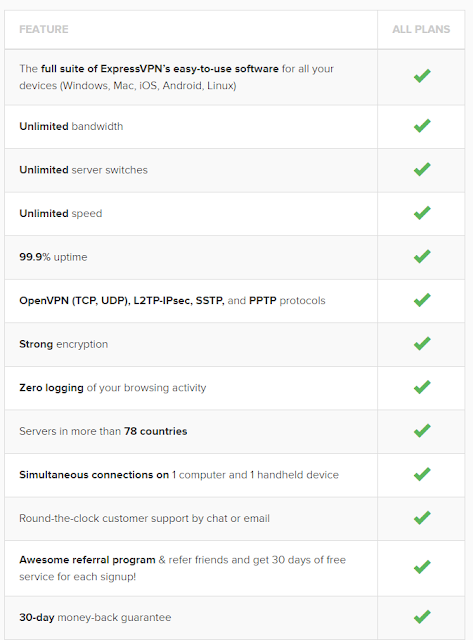 Below are some of the amazing features that make hide.me VPN top choice. As I mentioned earlier as well, Speed becomes the major concern when you will start using VPN but seems to hide.me has done extremely well while controlling this. No matter how much time you are using the VPN, you will not see any kind of speed differences between when you are using it and without VPN. Though if you are using the free plan of the tool, you may not experience the best speed but with premium one, you will for sure. There also is a hide.me free proxy offered by the company, that’s fast too. hide.ME supports almost all the major protocols. For example, it supports all OS and protocols like PPTP, L2TP, IPsec (IKEv1 and the brand new IKEv2), OpenVPN, SoftEther, and SOCKS etc. These all use AES-256 encryption. If you are using the premium version you will experience advanced security protocols as well. hide.me has their servers spread across 29 locations across the world and thus providing you the wide ranges of options to select from. All these servers at Canada and USA, Austria and France, Germany and Iceland, Romania and UK, Australia and Hong Kong, Turkey and Singapore have hand-picked servers and don’t store any kind of logs to maintain complete anonymity. Another important factor to consider while choosing any VPN is the compatibility. You should check first whether the device and OS you own is supported by the company or not. The best thing with hide.me is, they support all kind of devices and OS like Windows (10, 8, 7, Vista and XP) and Mac OS X, iOS (iPad and iPhone), Linux (Ubuntu) and Android, Windows Phone 8.1 and BlackBerry. So you are good to go with them easily. hide.ME provides 24x7 supports through all means of communication and thus helping you to get quick support all the time. You can get in touch with them through email, chat, and tickets for a quick solution and help. You can even participate in the forum, check the FAQ and tutorials for instant help. If some websites are blocked in your area, you can access those also with the use of this VPN. Simply use the IP of some other locations and you would be able to do that easily. If you are just starting with VPN, you can try free plan but for the best experience, I would suggest you go through the premium plan. hide.ME is a premier VPN tool to start with. You can start with their free plan initially and later once you are satisfied, you can switch to paid plans. 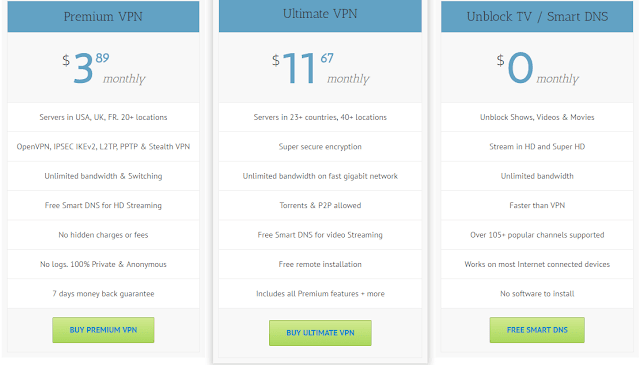 FrostVPN offers premium VPN services at a very affordable price since last seven years. They are having wide experience in providing unrestricted, unfiltered, and secure internet access to their large base of customers. Their service encrypts your internet connection, which allows you to bypass geographical and firewall censorship. Our VPN works with Windows, Macs, iPhones, Androids and more. If you are looking for most affordable service with a wide number of servers to choose from then FrostVPN is for you! The best thing is no matter which plans you select, you will get access to all of their servers located in 21 countries across the globe. I think FrostVPN is the cheapest VPN of all time which just starts at $1.99 per month if you will buy the software for a year. So if you are buying it for a year, it will cost you just $23.88 per year which just costs you $1.99 per month. The three-month plan cost you just $6.99 which comes at $2.33 per month and they have a monthly plan also which comes at $2.99 per month. With all the plans you will get 3 days money back guarantee which is a bit less but at this price, it seems to be justifiable. FrostVPN’s servers are located in 21 countries with a total of 81 servers that utilize PPTP and OpenVPN (TCP/UDP). You are free to connect to any server that you want as many times as you want. How to start with FrostVPN? Starting with FrostVPN is damn easy and won’t take much more than a couple of minutes. Once you have decided to which plan you have to go, but that from the site and log in with the credentials you will receive. Now you will have to download the software and start using it. You can also check their reference guide for any help. To get the guide of different OS, you can check this link. Here are some common questions those are frequently asked and even you can have doubt before buying FrostVPN. Looking at the features and price, FrostVPN is definitely one of the cheapest and feature-rich VPN services. A proxy enables you to visit websites anonymously, access blocked websites and hide your identity. It’s the best way to protect yourself from hackers, companies, governments or anyone else who might want to spy on you online. HideSter is a premier proxy provider company providing best list of HTTP, https, socks4 and sock5 proxies. All of their proxies are getting updated in real-time. You will also get features like free exporting if you would like to do in CSV or excel. With over 1700 proxies in databases and 53 premium proxies, HideSter is definitely one of the leading proxy providers. They are providing the proxies from all across the globe and simply you can make a search like for which country you need it and you will be displayed a set of a result related to that. 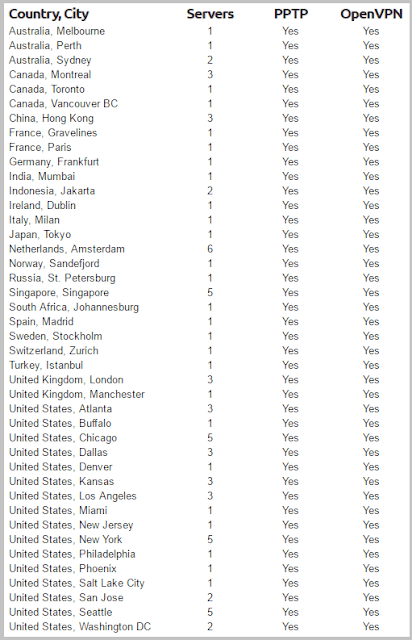 Like here I have selected 2 countries US and UK and have kept all ports to be selected. Also, as you can see there are different filters you can use as per your need. As you can see there are a number of proxies available for each search and it also shows the proxies which have been updated soon. 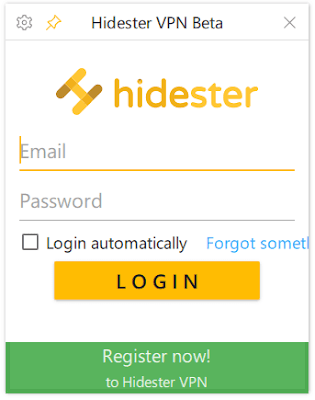 Why should you use HideSter proxy? 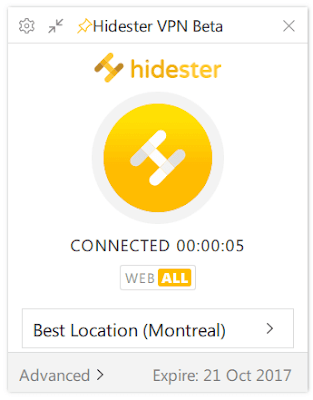 There is no doubt that HideSter is a premier proxy provider having a large number of proxies available all the time. How to Install & Use these proxies? HideSter proxies are very cheap and are available at very less price. You can start with premium proxies just at $9.9 per year. They are in launching phase and you can subscribe for premium IP services just at $9..9 per year which comes at $0.825 per month. iVPN is also one of the top VPN service providers since years. Speed and strong Encryption are their top qualities but when it comes to supporting, they lag. Though their plans are bit costlier than the other VPNs, I mentioned here but they claim to provide good services. You can also get 3 days of trial before buying. So first you can try and check whether it worth or not and then buy it. With the customers from over 150 countries, iVPN allows you to use their software on all the device without any issues. So if you are looking for a premium VPN and can spend good money then go with iVPN else you can select from any of the above VPN tools. Here are some of the best Free Proxy Server List for you to use. These proxies are well capable of handling your basic needs and you can use these without any issue if you want to free. These were some of the best VPN services. Hope you liked these top VPN software. If you know any other great VPN tool which has helped you in past, do share in a comment and will include that as well.